Interactive Solutions for Church, Youth Groups, and Organizations. Utilize the latest technology to foster and strengthen your member relationships! 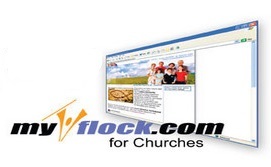 JSL Solutions introduces MyFlock.com , StreamingChurch.tv and ChurchAppLive.com for the Church. All JSL products have an impressive feature list and allow ministries to instantly create a website using new or existing domain names. All sites include a powerful page and text editor that allows anyone with permission to edit and update the site from any computer connected to the internet. JSL Online Communities are divided into two areas. The first is open to the public and can include all of the relevant information about your ministry along with sermon notes, calendars, streaming sermons, and much more. The second area is reserved for members only and contains powerful interactive tools to help members grow and get to know their fellow members better. The profile matching database and other tools will ignite new relationships and strengthen existing relationships among your members. The very first time members login and complete their profiles they will begin to experience community as they are welcomed and encouraged by other members. Each time they go to the website they will be able to see who else is online and simply click-in to chat with others on the site. 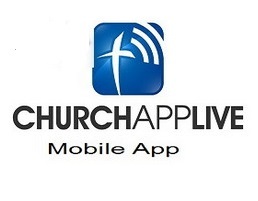 ChurchAppLive.com is a customizable church app that engages, enlightens and entertains your church members! With ChurchAppLive.com, your first church app will be available in minutes! StreamingChurch.tv allows your ministry to broadcast your services live on the internet. Not only are you able to broadcast your services, but the system will create an online campus where you can greet attenders as they arrive, you can chat with the group, or pray/message with attenders privately. Please take some time and browse through MyFlock, StreamingChurch.tv, or ChurchAppLive.com , and give us a call or email with any questions.